Featuring basic standards and a diverse selection of favorites, the following cocktail party drink list is all you need to mix cocktails with confidence. The list is grouped by liquor and then sub-divided by complexity, e.g. 2,3,& 4 part drinks. For details on mixing cocktails, see Cocktail Mixology 101. Pour ingredients into a double Old Fashioned glass with ice & stir; optionally, garnish with a lemon twist. Pour ingredients into a double Old Fashioned glass with ice. Stir and optionally garnish with a lemon twist. Pour ingredients into a highball glass with ice. Stir and optionally garnish with an apple slice. Pour ingredients into a double Old Fashioned glass with ice. Stir and garnish with an orange slice and maraschino cherry. This drink may also be mixed in a cocktail shaker and served "up". Muddle mint leaves, powdered sugar and water in a Collins glass. Alternatively, you may use simple syrup for the sugar and water. Add crushed ice and fill with bourbon. Fill with more crushed ice to near the top of the glass. Garnish with a fresh mint sprig. Cut a straw to protrude 1-inch above the top of the glass. While imbibing shove your nose into the mint garnish and sniff and quaff at the same time. Place the sugar cube in the bottom of an Old Fashioned glass (alternatively, you may use 1 teaspoon of sugar). Sprinkle sugar with bitters and add a splash of water. Muddle ingredients with a bar spoon. Add ice, pour in bourbon and stir. Garnish with a maraschino cherry and orange slice on a toothpick. Pour ingredients into a double Old Fashioned glass with ice. Squeeze in lime wedge and stir. Pour ingredients into a double Old Fashioned glass with ice. Stir and garnish with an orange slice. Mix gin, lemon juice, lime juice and simple syrup in a highball glass with ice. Fill with club soda and garnish with a maraschino cherry. Serve with a straw. Mix all ingredients in a highball glass with ice. Optionally garnish with a sprig of mint. Serve with a straw. Mix gin, lemon juice, and simple syrup in a Collins glass with ice. Fill with club soda and garnish with a maraschino cherry. Serve with a straw. Pour ingredients into a double Old Fashioned glass with ice. Stir and optionally garnish with a pineapple wedge or maraschino cherry. Pour ingredients into a double Old Fashioned glass with ice. Stir and optionally garnish with a lime. Substitute grenadine for the simple syrup to make a Pink Daiquiri. Pour ingredients into a double Old Fashioned glass with ice. Stir and garnish with a pineapple wedge or maraschino cherry. Shake ingredients together in a shaker. Pour over ice into a hurricane, wine, or highball glass. Garnish with an orange slice and cocktail umbrella. Pour ingredients into a highball glass over ice. Stir and sprinkle with bitters on top. Garnish with an pineapple wedge and maraschino cherry on a toothpick and cocktail umbrella. Shake ingredients together in a shaker. Pour over ice into a double Old Fashioned glass. Garnish with a skewered orange slice & maraschino cherry and cocktail umbrella. Alternates: Substitute almond coffee-flavoring syrup for orgeat. Substitute Cointreau, triple sec or Grand Marnier for curacao. Shake ingredients together in a shaker. Pour over ice into a hurricane or highball glass. Garnish with a skewered orange slice & maraschino cherry and cocktail umbrella. Pour ingredients into a Old Fashioned glass with ice. Stir and garnish with a maraschino cherry. Pour ingredients into an Old Fashioned glass with ice. Stir and twist lemon peel over drink and drop into glass. Pour ingredients into an Old Fashioned glass with ice. Stir and garnish with maraschino cherry or lemon twist. Mix all ingredients in a shaker with ice. Rub the rim of a double Old Fashioned glass with lime then dip into a saucer of salt until evenly coated. Pour the Margarita mixture into glass and garnish with a lime slice. Pour tequila and orange juice into a double Old Fashioned glass with ice and star. Pour grenadine very slowly so that it sinks to the bottom. Do not stir again. The grenadine should rise up from the bottom creating a sunset effect. Garnish with an orange and maraschino cherry on a toothpick. Pour ingredients into a double Old Fashioned glass with ice and stir. To make a Black Magic: add several dashes of lemon juice and garnish with a lemon twist. Pour ingredients into a double Old Fashioned glass with ice. Stir and squeeze in a lime wedge. Pour ingredients into a double Old Fashioned glass with ice. Salt the rim and you have a Salty Dog. Pour ingredients into a double Old Fashioned glass with ice. Stir and optionally garnish with an orange slice. Use flavored vodkas and omit the lime to make a number of tasty and refreshing variations of a Vodka Tonic. Try Raspberry, Orange, Watermelon, and Apple. Mix ingredients in a double Old Fashioned glass with ice and stir. Garnish with an orange slice and maraschino cherry on a toothpick and cocktail umbrella. Pour vodka and orange juice into a double Old Fashioned glass with ice and stir. Float Galliano on top. Do not stir again. Garnish with an orange slice. Pour ingredients into a double Old Fashioned glass with ice and stir. Garnish with an orange slice. Pour ingredients into a double Old Fashioned glass with ice and stir. Squeeze a lime wedge and drop it into the glass. Mix vodka and Kahlua in a highball glass with ice. Pour in cream or milk and sprinkle with a dash of nutmeg. Mix all ingredients in a highball glass with ice. Garnish with a celery stick and lemon wedge. Optionally, salt the rim of the glass with celery salt. Mix all of the ingredients in a shaker with ice. Shake and pour into a highball glass. Garnish with a lemon wedge. Pour ingredients into an ice-filled cocktail shaker and shake well. Strain into a martini glass and garnish with a lemon twist. Pour the ingredients into an ice-filled martini pitcher and stir for 30 seconds. Strain into a martini glass and garnish with one or two skewered olives. Gibson: Follow instructions above and garnish with skewered cocktail onions. Vodka Martini & Gibson: Substitute the gin with vodka (I know you know that, but...). Use premium quality gin and good imported vermouth. Pour the vermouth into an ice-filled martini pitcher, then pour it out, leaving only the vermouth that coats the ice and side of the pitcher. Add gin and stir for 30 seconds. Strain into a martini glass and garnish with one or two skewered olives. Pour ingredients into an ice-filled cocktail shaker and shake well. Strain into a martini glass and garnish with a slice of lime. Pour ingredients into an ice-filled cocktail shaker and shake well. Strain into a martini glass and garnish with a maraschino cherry. Pour ingredients into an ice-filled martini pitcher and stir for 30 seconds. Strain into martini glass and garnish with a raspberry, apple slice, or watermelon wedge. A designated drink is also an excellent way to control costs. Not only is rum the cheapest liquor, it mixes very well with juices and makes a number of cocktails with universal appeal. Remember: Only put ice in cocktail glasses, this means never put ice in pre-mixed batches. If you have room, put your signature drink mixture in the freezer, but don't forget to defrost before the party. For all batch mixed drinks, first mix a single serving cocktail in the same proportions, then make adjustments to suit your personal taste. This will also give you a reference point for the final mixture. Mix all ingredients except bitters and adjust for taste, primarily for the balance of sweet (simple syrup) and sour (lime juice). To serve: Pour into a stemmed or highball glass over ice. Stir, then sprinkle with dashes of bitters on top. Garnish with a pineapple wedge and maraschino cherry on a toothpick and cocktail umbrella. Mix all ingredients in batches using the parts measurement. Serve over ice in a stemmed or highball glass. Garnish with a pineapple wedge or orange slice and maraschino cherry on a toothpick and add a cocktail umbrella for decoration. Variations: Use Triple Sec (orange) instead of Creme de banana, or use Chambord or Razzmatazz (raspberry) for Creme de banana and grenadine. Mix all ingredients in batches using the parts measurement, use just enough grenadine to turn the mixture red. 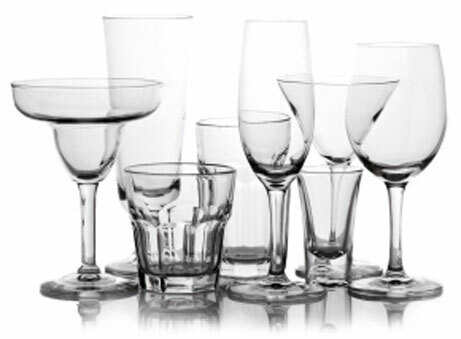 Serve over ice in a stemmed or highball glass. Garnish with a pineapple wedge or orange slice and maraschino cherry on a toothpick and add a cocktail umbrella for decoration. Mix all ingredients in batches using the parts measurement. Note that proportions are different when mixing larger quantities. Shake and serve over ice in a stemmed or highball glass. Garnish with a pineapple wedge or orange slice and maraschino cherry on a toothpick and add a cocktail umbrella for decoration. Mix in batches using the parts measurements. Serve in a double old-fashioned glass over ice. Mix all of the ingredients in a shaker with ice. Shake well and pour into a highball glass. Garnish with a maraschino cherry. Pour ingredients into a double Old Fashioned glass over ice and stir. Garnish with an orange slice. Pour ingredients into a double Old Fashioned glass over ice and stir. Garnish with a pineapple wedge and maraschino cherry on a toothpick and cocktail umbrella. Pour ingredients into a wine glass with a few cubes of ice. Stir gently and garnish with an orange slice, lemon twist, and maraschino cherry. *Simple Syrup is a mixture of equal parts sugar and water. It is easiest to make by heating the water to dissolve the sugar. Let it cool before using. **Sweet & Sour Mix aka Sour Mix is a mixture of equal parts lemon juice and simple syrup. Sweet & Sour Mix may be substituted in recipes calling for lemon juice and simple syrup, such as Whiskey Sour and Gin Sour.